If your horse has a bad horse hoof abscess it can appear like they have a broken leg! The horse will hold the leg up and refuse to put any weight on it and it can send many owners into a panic. This is because they can be extremely painful as the hoof wall forms a solid barrier which means the build up of pressure from the pus in an a hoof abcess has no means of escape. 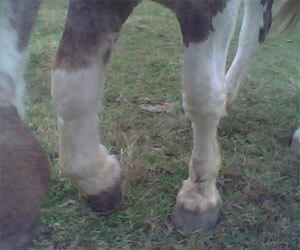 Often there will be swelling right up the leg to the knee/hock prior to the abscess bursting. Once it does burst the horse will normally be sound and the swelling will subside fairly quickly. The average time span can be between 4-10 days. An equine hoof abscess most often develops after trauma to the hoof. 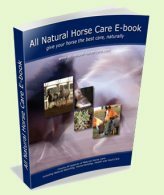 If the hoof is weak for some reason then it is more likely to get hoof abscesses. Thin soles for example, can't provide sufficient protection for the internal structures and are more susceptible to stone bruises which can lead to an abscess. Damage to the coffin bone inside the hoof can also lead to abscessing. 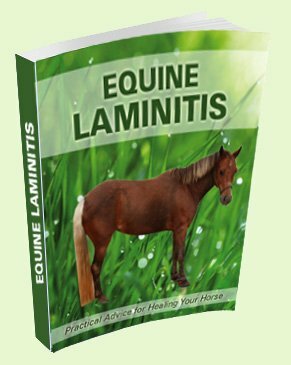 This is often as a result of chronic laminitis and it is the bodies way of removing the damage. These types of abscess are best left to resolve on their own. Antibiotics are not recommended as they often prevent the body from expelling the damaged tissue and just result in further abscesses. Generally, the abscess will exit either at the coronet band or the back of the frog. This will appear as a horizontal slit. Once the abscess has burst they seal up from the inside out so it is not necessary to worry about keeping the exit hole clean. If they come out at the coronet the slit will travel down the hoof wall as it grows out. The wall underneath the slit may peel away as it gets closer to the ground. See photos below. 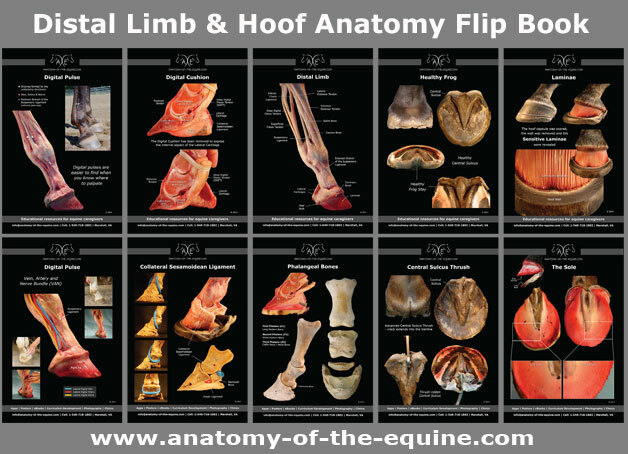 The two photos above show the slit moving down the hoof wall. As it neared the ground the damaged wall underneath the slit came off exposing the dead laminae underneath. This was a large sub-solar abscess that burst both at the coronet and the back of the frog. Dirt and sand were getting into the slit at the back of the frog so the detached frog was removed once the new frog had developed. The detached sole was left on for a few weeks longer to give the new sole as much protection as possible. 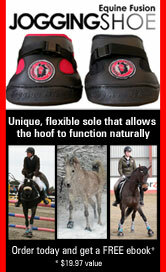 A hoof boot was also used to keep the horse comfortable until the new frog had toughened off. It can be difficult to pinpoint exactly where an abscess is, so unless you are sure, it best not to dig holes in the sole to try and release the pressure as the holes can cause soreness for a long time after the abscess has gone. Soaking and poultices can help to soften the hoof up and draw out the pus. A soaking boot makes life much easier. Puncture wounds to the hoof can also cause a horse hoof abscess. They do need antibiotics and wrapping as the object that caused the puncture will likely have forced bacteria inside the hoof which can lead to infection.